Bernadette went beyond her call to help us find what we were looking for. She was always available to take our calls and accommodate our needs. Six weeks prior to our closing in our home in UPCC, she showed us a home that was compatible to what we wanted. Bernadette went to work and made it happen. She was able to arrange the closing of both homes on the same day. We could have not been more pleased with the service we received from Bernadette. She is not only a professional in her field, she's also a carrying individual who's first priority is pleasing her customers. We are happy to recommend Bernadette Caswell to others who are interested in selling or buying real estate in the Sarasota / Bradenton area. - Walter and Delpha H.
My wife, Judy, and I want to let you know how pleased and appreciative we are of the superlative service provided by Bernadette Caswell in regard to our recent Sarasota home purchase. We consider ourselves extraordinarily fortunate to have met Bernadette. We visited Sarasota for the first time in March and never in our wildest dreams did we expect to own a home by July. After the closing Bernadette asked me if there was anything she could have done better to assist us. She has been and continues to be so wonderful I can honestly say there is not anything she could have done better. I've had several questions since the closing and Bernadette answered them with the same diligence as she did prior to closing. Judy and I came to the same realization that Bernadette provided us the same level of service we would expect if we were purchasing a multimillion dollar home. Most importantly, we felt that in Bernadette we truly had an advocate for our best interests. We quickly learned that her honesty and straightforwardness allowed us to trust her opinions and rely on her guidance. Since we were total novices to the area this provided tremendous peace of mind. Among her many skills Bernadette is a great listener and observer. Her ability to gauge our tastes and interests enabled us to purchase the perfect property. Bernadette possesses magnificent organizational skills. Every phone call, email, and text was answered immediately.The level of service provided by Bernadette is beyond anything we could have hoped for let alone expected. For this reason we will refer anyone interested in the Sarasota area to Bernadette and Michael Saunders. We were delighted with the service we recieved from Bernadette Caswell. The way she presented and marketed our condominium resulted in a relatively quick sale at a very acceptable price. We would not hesitate to recommend Bernadette and your company to anyone looking to sell their property. - Audrey and Richard L.
Thank you so much for all of the time and effort spent to complete the sale of our condo #702 at Blackburn Harbor. The transformation of our original condo into the showplace it became, through your furniture and decorating choices, made it easy for the new owners to choose our old condo for their new home. We sincerely are grateful to the time and care you provide to all of your clients. We've never met a better realtor. Thank you for your friendship. In all my real estate transactions, this agent did not ONCE drop the ball. I would recommend her to any of my friends. I have bought and sold many properties in my life and have had many, many agents that I worked with. By far, Bernadette Caswell is the BEST Realtor I've ever encountered. A genuine person, so on top of it, a super multi-tasker, a pleasure to do business with! Michael, thank you and congratulations for having Bernadette on your team. Once again, Bernadette's professionalism came through, overcoming seemingly insurmountable obstacles in today's market. She kept everyone focused on the successful and satisfactory completion of the transaction. - Michael and Sara S.
We would like to compliment the great service provided by Linda Driggs and Bernadette Caswell of Michael Saunders. Over the years my wife and I have purchased and sold over a dozen homes. The duo of Linda Driggs and Bernadette Caswell were the best agents we have worked with. They were professional and personable, providing us with the right information and keeping us apprised of developments on a timely basis. Bernadette went beyond our expectations with her active role in selling excess furniture and with her help with the utilities. Clients selecting this team will be pleased with the experience. - Joe and Elaine M.
Thank you for your guidance, enthusiasm and hard work in helping us sell our home. It was comforting to be so much in the loop due to your constant updates by email and telephone on your feedback from showings and open houses. Ever gracious, your concern for us regarding showings and open houses has been much appreciated. - Dr. and Mrs. Shan M.
Exceptional professional service is rare. We were fortunate to have experienced this rarity while working with Bernadette Caswell. She took charge of a desperate situation (we were the desperate situation) with total infectious confidence. There never was a misstep, hick-up or unanticipated event that Bernadette embraced with anything but aplomb. Her experience and straightforward demeanor places her into a class of her own. Thank you for the opportunity to have worked with Bernadette Caswell, The Exceptional Professional. - Christine L. and Ron H.
Bernadette, Has been doing a great job marketing my house. My wife and I are up north for a period of time and she makes sure that the place stays in good condition for sale. We feel confident that there will be a good result even during the time that the snowbirds are not here and it is difficult for buyers to make the effort during the summer heat. We see the effort in emphasizing the best points of our property and believe we made we the best choice for our realtor. I am very happy to tell you that both Bernadette and Judy were very professional, and it was a joy to work with them, they were extremely helpful in every way, far beyond what I would have expected. I would have no hesitation in recommending them to anyone planning to buy or sell property. Bernadette Caswell's expertise and knowledge was critical to our transaction across the country. Bernadette kept us up to date regarding new subdivisions and home listings within the communities we preferred. Palmer Ranch was our focus and when she was alerted to a new listing; her quick action to view it right away enabled us to get into it. Bernadette was professional, organized and informed about housing trends and market conditions. We want her exceptional efforts to be recognized and we will definitely recommend her to others. - Marianne and Bruce C.
I cannot properly express the gratitude my wife and I feel toward you as a person and as a professional. We both appreciate the total dedication that you brought to this effort. Being 1200 miles away made it even harder. There was no issue that seemed beyond your grasp and patience, including working with an international buyer! The initiative, follow through, and care that you showed during the sale of our home was first class. I don't think anyone could have done it better. - Charles and Judy G.
Bernadette Caswell earlier this year. After my home was on the market for some time, I decided it needed the personal, high-quality service of a Michael Saunders agent. Choosing Bernadette was an easy choice. She went far beyond any other agent I have worked with, as I have sold many properties in Sarasota County. She made many knowledgeable suggestions, provided a list of qualified resources and helped with a difficult transaction by a buyer that pulled out of the sale in the 11th hour. The details she handled were far beyond your average transaction. I had already moved to my new residence in Arizona and I was very pleased to have the benefit of Bernadettes extensive experience to walk me through the sale of my home. Thanks to Bernadette for the successful sale of my home. Bernadette Caswell is unsinkable. Life's challenges, the real estate market's challenges, creative marketing challenges and more cannot cause this special woman to give up. She always finds a way to deliver more than anyone could ever dream of with her personalized, dedicated service and attention. If I were buying or selling a home in Sarasota, FL., she is the ONLY Realtor I would call! I can't say enough about Bernadette Caswell. She was unbelievable. Her marketing materials were better than anything I have ever seen. The spec sheets were far superior to others in the neighborhood. And she had the resources to market the property very effectively. She has mothered us through the entire process with amazing skills and attentiveness; watching every detail, advising and listening at every step. - Larry and Jo V.
Bernadette provides a level of enthusiasm, detail and dedication that sets her apart. She is committed to the highest ethical standards in the industry and the level of personal service she brings to each transaction is appreciated by all. Her combination of work ethic and knowledge guarantees that no detail will be too small for your successful real estate transaction. Bernadette, I wanted to take this opportunity to thank you for the amazing job you did as the real estate agent that sold us our home. I have never met or worked with a real estate agent that was as personable and professional as you are! Buying or selling a home is a very stressful experience, you made it so much easier and even pleasant. David and I trusted you and found that you made sure we were making all the right decisions as it pertained to our purchase and future home. Even after the sale you contacted us with a very handy list of services with contact names and phone numbers and answered any questions we had about the home. It was obvious that you really cared that we bought the right home, for the right price, and were happy even months after moving in. Words to describe your service and support: Professional, Personable, Honest, Knowledgeable, Understood every detail of the home to include appliances, lighting, air conditioning, pool controls, etc., Quick response time, Resourceful. If and when David and I decide to sell our home you will be the first and only person we would think of listing it with! - Susan C. and David K.
Bernadette you helped me with an important decision in my life and I couldn't be happier. If you believe like I believe, I think we both received some positive energy from another source. Thank you for the Home Warranty and other gifts. Two weeks. Did we set a record? If I were selling, I know you would do an excellent job. I just hope that you are still practicing when my children are ready to buy out here. Our relationship with Bernadette Caswell began after she successfully negotiated the sale of my sister-in-law's high-end home in Sarasota during a very down economy. We engaged with her to assist our elderly father (who lived alone in the area) in finding an apartment or spot in a senior living community that would meet his needs. His reluctance kept that from happening but Bernadette continued to make wise suggestions over several months. Finally, when his home became available for sale, Bernadette jumped in to help us manage its renovations, appraisal and marketing. The house went to contract within its 1st moth on the market and sold for within 1% of our asking price, which was higher than we'd hoped for due to some lower comps in the area. We couldn't have been more pleased with Bernadette's insights and willingness to help our family with every detail. None of us live in the area and she made the entire process seamless and as painless as possible. We recently completed the purchase of our home in Deer Creek. Throughout the home-buying process, Bernadette Caswell was a steady, determined and reassuring presence. This was a long-term search that encompassed multiple contracts and a couple of difficult sellers. Our praise for Bernadette could not be higher. She demonstrated equal parts Realtor, economist, statistician, tactician and therapist. We would have been lost without her. She is particularly effective in the "red zone" when both the buyer and the seller need a little nudge across the goal line. She is the consummate professional with an expansive knowledge of the Sarasota market. She always kept our interests and dreams paramount. She is a wonderful Realtor. - Tom and Lydia H.
Bernadette and Linda got the job done. We had our home on the market the previous year without even a nibble. But, from the start of our contract with them, they aggressively pursued a sale for us, and never let up. We were in two realtor caravans. They were at every showing, even when they were stretched by other commitments. The partnership made communication easy and immediate. We can't recommend them more highly. Bernadette Caswell was referred by a good friend. She was very friendly, professional, and detailed; took the time to inform us of the market and how to best position our home; referred us to a stager; an appraiser; professionally handled the negotiations; and even met on site with the moving company since I could not be there. The house sold quickly. Nevertheless, I knew that everything was being done to give us the best chance to sell both quickly and at a favorable price. Tomorrow is the closing. We truly will miss you; your demeanor; your expertise; your lovely voice. We cannot thank you enough for all that you have done. We wish you all the best. Outstanding support and insights in our effort to coordinate an out of state relocation. Our top choice in Sarasota, a true pleasure to work with. Bernadette and Linda as a team are professional, knowledgeable, helpful, caring and energetic. Ms. Caswell and Ms. Driggs are shining stars. In our opinion is the best in Sarasota. We'll gladly recommend them to friends and colleagues and will certainly do business with them in the future. - Dr. and Mrs. Richard F.
I found her to be highly principled, ambitious, kind of heart and totally dedicated to service to her clients - buyers as well as sellers. Of all Realtors in my real estate career, this young lady ranks up high! KUDOS TO BERNADETTE CASWELL!!! Over the years, I have bought and sold many different properties that involved a real estate agent. That being said, I am pleased to report that Bernadette Caswell is the most exceptional agent we have ever engaged. She is thorough, knowledgeable and diligent. She went the extra mile for us in preparing our condominium for sale, vetting potential buyers, and helping us sort out furniture. Michael Saunders & Company is very fortunate to have her as one of your agents. For any of our future real estate transactions, you can be assured we will select Michael Saunders and Bernadette Caswell. I have only the highest regard and trust in Bernadette Caswell. I found it necessary to sell my house and fortunately Bernadette was always there to guide me through the process. Thanks to her compassion and efforts, the house sold within a very short period of time. I found a new suitable home and my other residence had several offers on it by day two. The one consistent factor through it all was Bernadette, her enthusiasm, attention to detail, dedication to working with and for her clients. Bernadette was referred to me through one of Sarasota's exclusive private Golf Course Country Clubs. What we most enjoyed about working with Bernadette was her honesty and professionalism and how she was able to guide a smooth transaction despite the geographical distance between us. She was great to work with and made our experience feel like a friendship. - Tim B. and Paula S.
You must know this already. 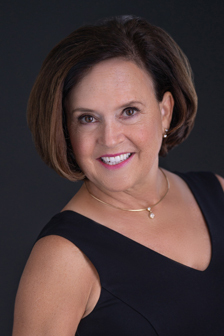 Bernadette Caswell is not only an exceptional agent, she's also delightful! My only regret in choosing her to handle my short sale is the fact that she worked for mere pennies (though she never complained). She's my HEROINE! There seems to be no effort too great or too small that Bernadette will attempt and follow through on with a flair! The Open Houses she held at my property were substantially more than I anticipated. And the turnout were always a pleasant surprise. She is very creative, has a fantastic work ethic and is very bright. Bernadette Caswell has been an EXEMPLARY agent during our recent experience. It has been proven that the selling and buying process is one of life's bigger stressors. This load was lessened because Bernadette has been masterful throughout the entire experience. We felt confident in her knowledge and expertise. She was readily available to us whenever we needed her, and when we had questions she gave carefully thought out responses. Kind, patient, creative, classy, savvy, professional and wise are just a few of the adjectives that come to mind when we think of Bernadette. We highly recommend her!! Bermadette Caswell is not only great at what she does, she is also a wonderful, positive and energetic person as well. She is very sincere and just really great to work with. Her professionalism and experience, communication skills are top notch. Bernadette went to a great lengths to make our transaction as smooth as possible. We felt like she really cared about us getting this house. We are very grateful and feel extremely lucky, she was our guide throughout the entire process. Bernadette Caswell is the best agent we could ever ask for!